HomeFor ClientsAnalyticsForex Analysis & ForecastsForex Technical analysis and forecastsForex Technical Analysis 2011/01/18. EUR/USD, GBP/USD, USD/CHF, NZD/USD Forecast FX. Forex Technical Analysis 2011/01/18. EUR/USD, GBP/USD, USD/CHF, NZD/USD Forecast FX. As it can be seen from the eurusd forecast the EUR/USD currency pair has almost reached the targets of the “head & shoulders” reversal pattern, and we can expect the start of either the correction or the rising movement at current prices. However, one should consider buying the pair only after the price leaves the channel. Aggressive traders can try to open long positions with the tight stop even now. 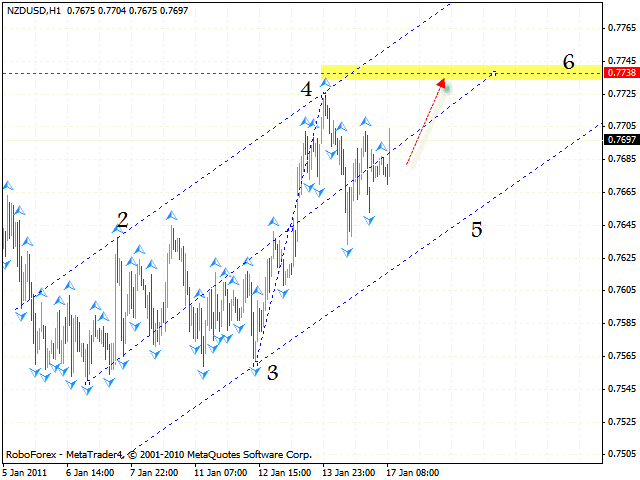 In case of the GBP/USD currency pair we have the rising pattern forming with the target in the area of 1.6094. According to the gbpusd forecast we can expect the price to grow to the level of 1.6000, then go down into the area of 1.5796 where we can try to open long positions and wait for the final gtrowing movement of the pair to the level of 1.6094. 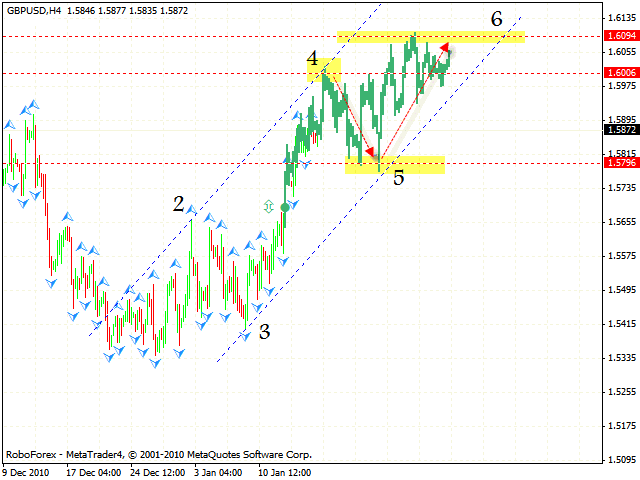 As it is seen from the technical analysis usd chf Franc keeps moving down. 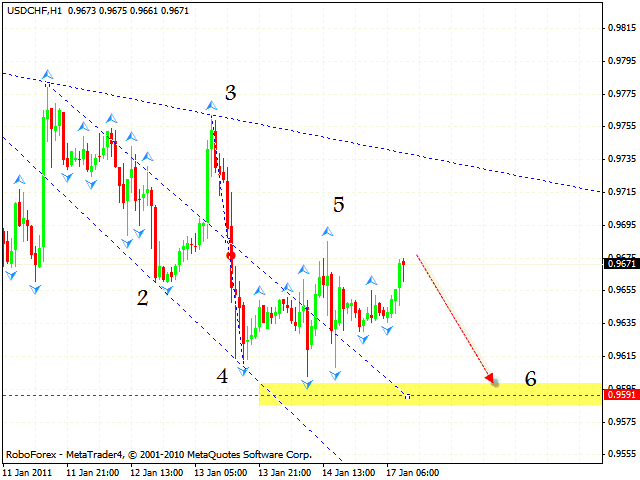 We can see the formation of the descending pattern with the target in the area of 0.9591. 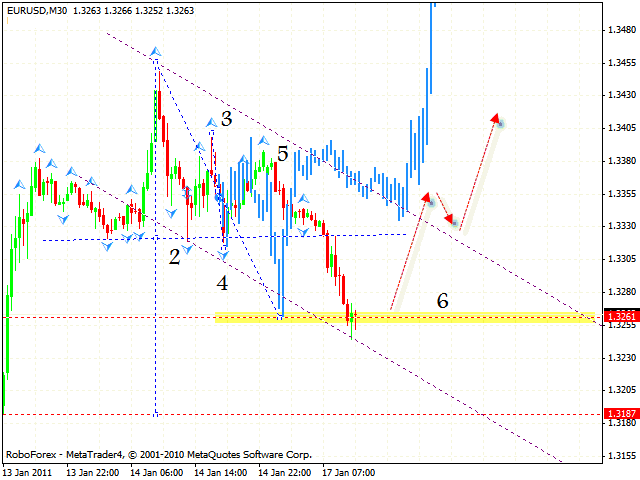 One can try the tight stop sales of the USD/CHF currency pair. Don’t forget to move stop into the black as soon as possible. New Zealand Dollar is moving as a rising pattern with the target in the area of 0.7738. Judging by the nzdusd forecast you can consider buying the pair with the tight stop below 0.7665. We should also take into account the rising movement at the daily online forex trading chart, so after the price reaches the specified target, don’t be in a hurry to capture the profit.